Wonder if she is an actor? Flaunt your brownness while you at it. For only you know what your heart carries. MmaBasootho is mother of the brown ones, children of the soil. Sootho means brown, this piece embrace that brownness. JahRose is a poet, mentor, performer, an author, social entrepreneur and art activist. JahRose Productions is an umbrella where all these come together. 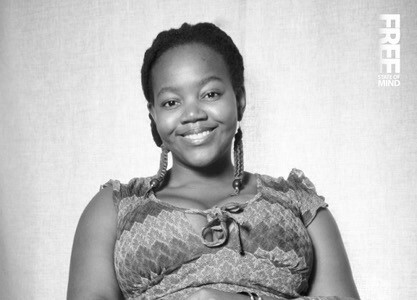 She self published and launched her debut poetry compilation book: Rooted from the heart in 2010. She recently published Free State of Mind Anthology, with an audio book and a DVD. Free State of Mind Anthology has subsequently been turned into a documentary.